Balance your personal energy and beautify your living space while also healing your home and the planet. 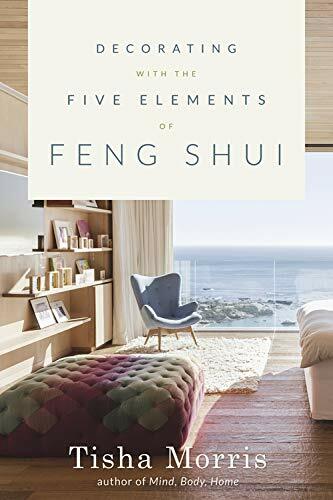 Join feng shui expert Tisha Morris as she reveals the amazing possibilities for transformation when you use Five Elements wisdom to make simple changes in your home and in your life. The Five Elements (wood, fire, earth, metal, water) are the threads of energy that connect all living beings with nature. Learn how each element is expressed not only on the planet, but also through you and your living space. Start with a quiz to understand your elemental make-up. Then follow the three-step formula to feng shui your life. This helpful book features a room-to-room guide for using the Five Elements, plus instructions for healing spaces. Tisha Morris is a feng shui consultant, interior designer, certified life coach, en-ergy healer, and yoga instructor. She is also the author of Feng Shui Your Life (Turner Publishing, 2011). She is based in Los Angeles, California, and can be found online at TishaMorris.com.